Ten years to the day after he was sworn in, disgraced former Malaysian Prime Minister Najib Razak is expected to go on trial on Wednesday suspected of corruption linked to a multibillion-dollar scandal that brought down his government. 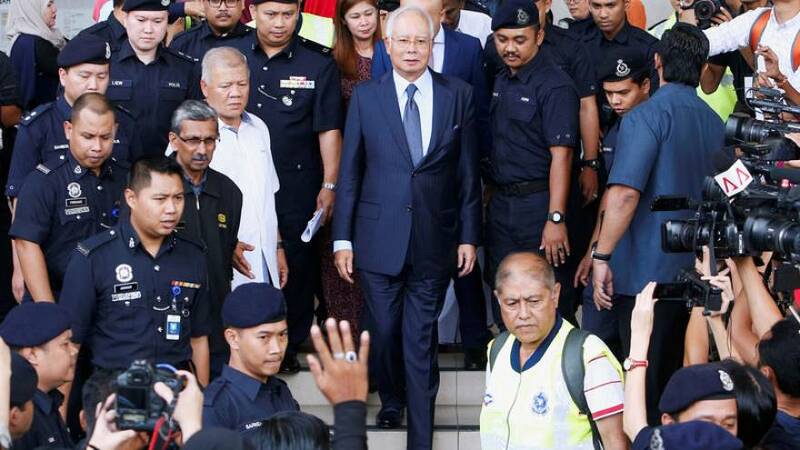 Najib faces seven charges in the first of several criminal proceedings he is due to face over suspected money laundering of $4.5 billion (€4 billion) from state fund 1Malaysia Development Berhad (1MDB). The trial is due to begin at 0700 CET. The trial was originally set to begin on February 12, but was delayed pending appeals by Najib's lawyers. On Monday, they asked the highest court to review its decision to lift the stay on the trial, media reported. As the trial date neared, Najib, Malaysia's sixth prime minister, sought a radical change of image, painting himself as a victim of a vindictive government and trying to shed the image of a wealthy, elite politician.